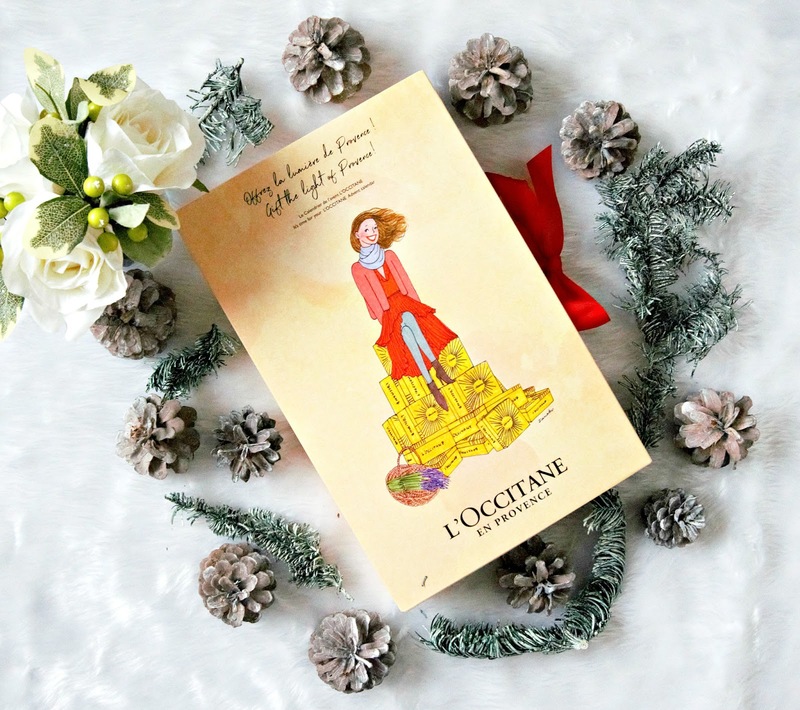 The calendar itself is very pretty with an illustration on the front of a woman sitting on top of L'Occitane boxes and it is tied with a festive red bow. Inside is another illustration - this time it's a Christmas village scene. There are 24 windows with a product behind each one and below I will tell you what the contents are. If you would prefer to keep them as a surprise, you can skip down to the giveaway! Day 1 Cherry Blossom Bath & Shower Gel 35ml. I love that there are matching products - for example, Almond Shower Oil, Soap and Hand Cream or Verbena Shower Gel and Body Lotion so the products can be layered to intensify and extend the wear of the scents. The sizes, although mini, are quite generous in size so would be perfect for weekends away. I will be staying with my In-Laws at Christmas so will definitely be bringing some of these minis with me. At £49 versus the £87 value, this is really great buy! Now on to the giveaway! There are six mandatory steps to take, all of which are detailed in the Rafflecopter widget below. You must follow me on Bloglovin, Twitter and Instagram and you must tweet the giveaway link. You must also follow L'Occitane UK on Twitter and Instagram. All of the links are in the Rafflecopter widget. 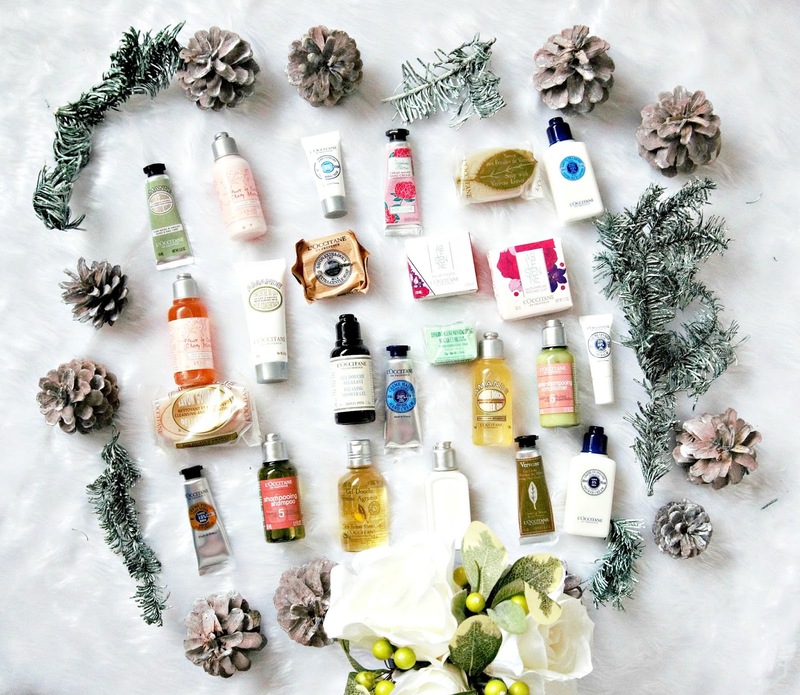 There are a number of ways to earn extra entries: Like and comment on the Instagram photo, tag friends under the Instagram photo, save this post on Bloglovin, love this post on Bloglovin, follow me on Pinterest, comment on this post telling me what your favourite L'Occitane product is and leave a relevant comment on any other blog post. These are optional but all are worth five extra entries each. The giveaway will end on November 23rd at midnight and the winner will be chosen via random.org. I will then contact the winner who will have 48 hours to respond to my mail. If the winner does not respond within 48 hours, they will be disqualified and another winner will be chosen. If you are under 16, you must ask the permission of your parent/guardian to enter as you will have to disclose your address. This giveaway is open to the UK only. L'Occitane have kindly provided the prize and will deliver to the winner. There is no cash alternative or substitution available. All products are bought by me, unless otherwise stated. 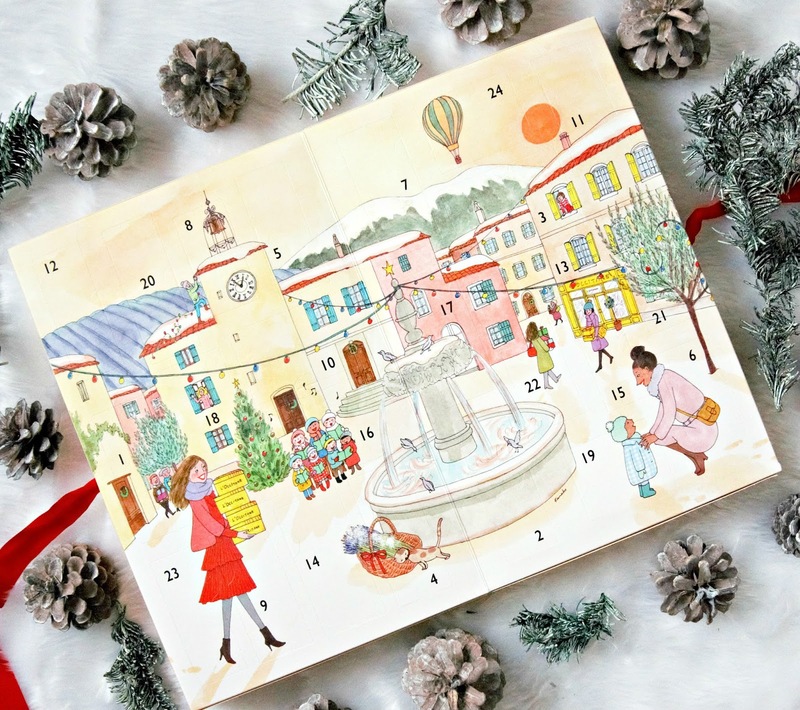 This Advent calendar was kindly sent to me and L'Occitane have also provided the prize. Opinion is always my own.